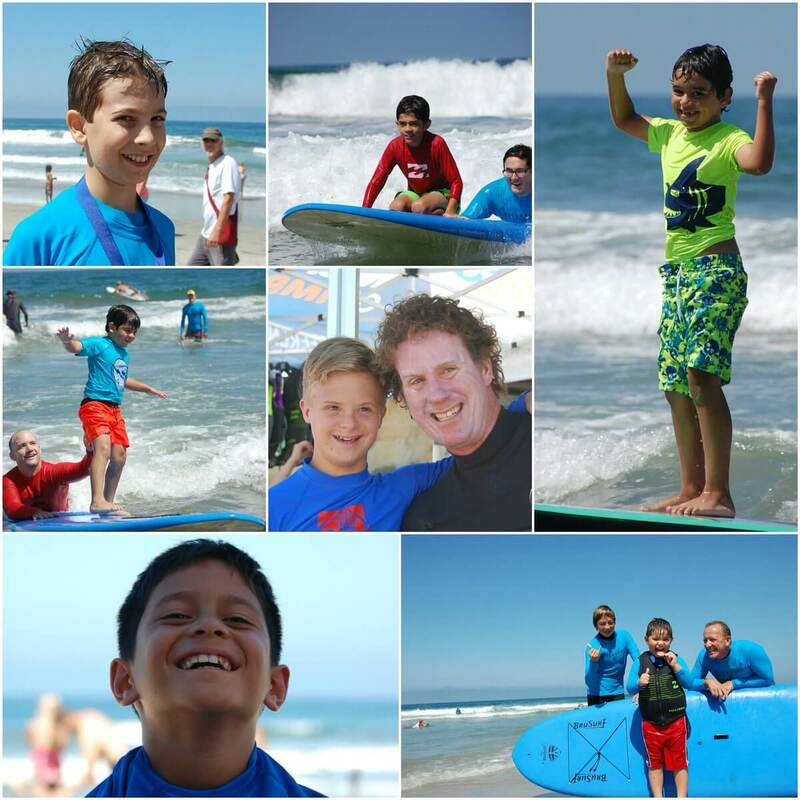 We had the pleasure of assisting Waves of Impact at their surf camp for kids with special challenges this weekend at Moonlight Beach in Encinitas, CA. And it was all about the kids and having fun in the ocean! They say that salt water heals everything, and many people have found that getting in the ocean can be an incredibly stress reducing activity. Waves of Impact is a non-profit organization that seeks to spread this very experience through free surf camps for kids with special challenges, as well as our fine military veterans who were injured while serving our country. Truth is, there are very few organized activities for kids with special challenges. They might not enjoy playing on a little league team or joining a soccer club, but they sure do have fun riding waves in the ocean. Waves of Impact fills a critical need by organizing volunteers to get the kids out in the surf. Watching the sense of freedom the kids get, not just from surfing, but jumping the waves, digging in the sand, and just having clean, simple beach fun is a sight to behold. Okay, so playing in the sand may not be “clean” in the literal sense, but nonetheless we are grateful to have been part of such an amazing cause. Spending a day surrounded by passionate people is always a good day in our book, and we cannot wait for the next camp! Make sure to follow Waves of Impact and help them spread the word.